Tycoon John Caudwell has revealed that a ghost is haunting his Midland mansion. Mr Caudwell lives in 50-roomed Broughton Hall, near Eccleshall, Staffordshire. Now, the billionaire who founded the mobile phones empire Phones 4u, has disclosed that his Jacobean pile has a ghost – of a terrified child killed during the Civil War. John, 62, reveals: “The little boy was alone in the house. All the men had gone out hunting and the Cromwellians came down the drive. “Legend has it that, every so often, those blood stains come oozing through. “I’ve never seen that, but there’s a strange thing: several women who have slept in the room have felt the bed vibrate – and I was not there at the time. John bought Broughton Hall 20 years ago for £800,000. It is now worth more than £10 million. The entrepreneur sold off Phones 4u in 2006 for a cool £1.4 billion and is ranked as the 42nd richest person in Britain. His rise to wealth came after he started work at the age of 17 on the production line at the Michelin factory in his home city of Stoke-on-Trent, earning just £3 a week. He already funds his own charity, Caudwell Children, which helps disabled youngsters. 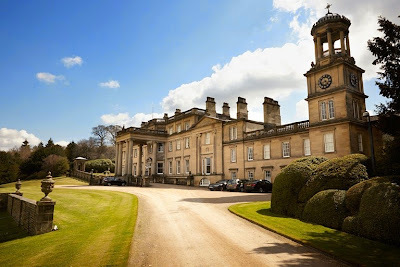 Meanwhile, John is on track to achieve his big boy’s toys dream, having just been given planning permission to build his own steam railway in the grounds of Broughton Hall, which run to 28 acres. A half-sized locomotive will haul a fleet of fully furnished carriages, the whole project costing £500,000. “It’s a mad idea; crackpot really,” he admits. He reveals that – wealthy as he is – Broughton Hall poses a cash headache because of the heating bills. “The secret is to create a nucleus of cosy rooms and for other members of the family to do the same,” he says. There are several family suites in the mansion as Mr Caudwell has five children by three women. He and his partner-of-15-years, Claire Johnson, separated last year, although they remain friends. John is also still pals with his former wife, Kate, to whom he was married for 25 years. Fairfield, OH - It was a number of years ago so I can not remember the date exactly (or the month or the year,) sometime between 10-6 years ago, and it was a school weekend with no snow. We have a dog, but for some reason she wasn't there that night, nor were my parents, I cannot recall why. I was looking up at our ceiling, admiring the swirls of plaster in the dark and I glanced to the clock. It read 11:04. I looked back up to the ceiling, then glanced back to the clock. It read 04:11. I jumped to my feet, instantly in fight-or-flight mode, goose-bumps across my entire body as listened for any sounds. Or any sights. I KNEW something was wrong. I can not understand why, but at that point I decided that I should go to sleep in my room on the top story. I remember that as I went up, everything was oddly "peaceful" and surreal, my footsteps didn't really seem to make any noise, and although there were no lights on, I could clearly see everything. Also, it was almost like I had instantly left the adrenaline filled mode I was in, just sorta going-with-it. I do not know if the next part happened that same night, but it was some time around then, my parents not home and neither was my dog. In my memory I remember it as the same night, but with the time on the clock, it wouldn't make sense, cause it definitely took place at night, and I had just woken up. I woke up because of a lack of sound. I slept in a noisy room, many clocks and watches constantly making tick-ticks, and when all the sudden they all stopped, it was odd enough to wake me up. Nothing made sound though, analog clocks were all still ticking, just no noise. I wasn't tired at all however. I don't know what time it was, jsut that some how I "know" it was night. I got the same surreal go-with-it feeling as before, however, I didn't feel like sleeping again so I got up, and then I noticed my window. I have quite the fear of windows at night, so all the blinds in the house are always closed at night. Every edge of the window though, it seemed to be "bleeding" in a white-blue light into the house, there weren't rays though, it was like only the walls around the edges of the window were being affected. Even so, just like before even though it was completely dark in the house, I could clearly see everything. I didn't get scared though, it was more a curiosity than anything, but I wasn't ALLOWED to open the blinds, I thought about it, and I just couldn't. I knew there was something above my house, I don't know if it was directly, but I just knew. I exited my room and went downstairs at this point. Our stairs exit out into the kitchen, where we have 3 Digital clocks, one on the oven, one on the Microwave, and one on the cable-box that you can see in the downstairs (where I was before). I don't know how, but I knew that if I looked at the clocks, I would see something, so I did. At one point I had written down what they said, but I can't remember and have lost the paper, but it was NOT the time. They all said something that I could clearly identify as a word(s), but I remember not being able to understand it. Next I noticed that all the windows facing the South (The direction the window on my room faces) had the same blue light bleeding through the edges. We have double glass doors that lead onto our back porch in our kitchen, I some how had managed to not even think of them this entire time, but I then suddenly remembered them, and looked out them. The same white-blue glowing light was bleeding around the edges of the doors, however, I remember not being able to see out them, it was definitely black and dark out, however, it was also bright. It was so bright that I had to squint, and then looked away. The only example I can even think of is when it is cloudy outside, yet you still squint your eyes because some light from the sun outside of the visible spectrum still goes through the clouds and hurts your eyes. I don't know how much longer I was awake, I just know I couldn't look outside, that I walked around the downstairs of our house inspecting things, the light was constant and unwavering, and everything was surreal-ly quiet and calm during the entire thing. I eventually went back upstairs, but on my way up the stairs I stopped. I reached my arm over to the wall, and dug my fingers into it, and ripped out a bit of plaster. Significant quantities of the metal have been found inside the Pyramid of the Feathered Serpent. Discovered by Mexican researcher Sergio Gómez, the mercury was found within a chamber inside one of the pyramids of Teotihuacan, the world famous pre-Columbian ruins located in Central Mexico. For years Gómez and his team had been working their way down through the bowels of the pyramid after its tunnels were unsealed in 2003. 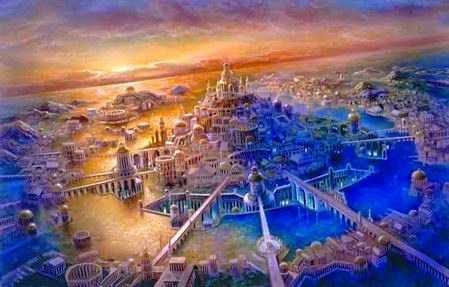 Dating back over 1,800 years, the ancient structure could still contain an undiscovered king’s tomb or ritual chamber that would help shed some light on how the ancient city was ruled. 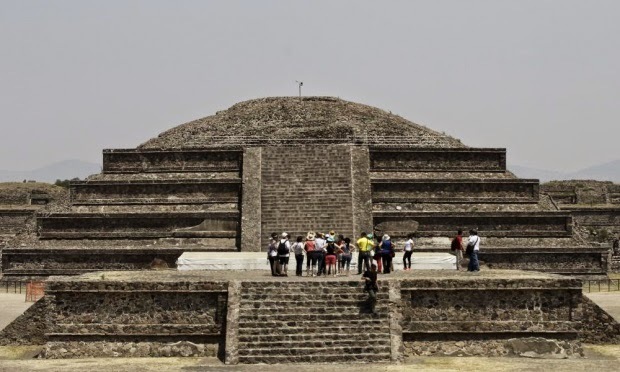 Last year the team uncovered three chambers located 60ft below the pyramid and now with the discovery of liquid mercury they are hoping that a significant discovery could be close at hand. While this dangerous metal would have had no practical application for the ancient Mesoamericans its reflective properties may have seen it used for symbolic or ritualistic purposes. "Mirrors were considered a way to look into the supernatural world, they were a way to divine what might happen in the future," said Prof Annabeth Headreck of the University of Denver. In this case the mercury may have represented an underworld river - a gateway to the afterlife. 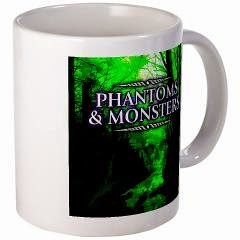 Go to Phantoms & Monsters...bookmark it or make it your homepage. Have you ever had a “paranormal” experience with radio? A sign of life beyond death?